The Japan Braille Library is creating digital versions of international standards-based Braille books, and audio books to improve accessibility for the visually impaired who may not have access to printed materials. Each year, more than 9,000 accessible books are added to the Sapie Library collection, a nationwide online library managed by the Japan Braille Library and the National Association of Institutions of Information Service for Visually Impaired Persons of Japan. As part of IBM’s Celebration of Service during the company’s Centennial year, IBM Research – Tokyo employees are helping the Japan Braille Library with this project. 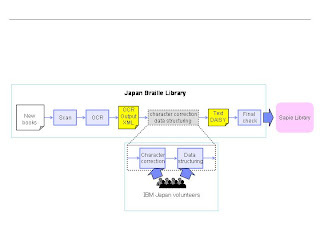 The research team is also developing an electronic book improvement system for the Japan Braille Library. It allows volunteers to collaboratively correct Optical Character Recognition (OCR)-scanned characters via a web browser. In Japan, volunteers are the driving force in making accessible books. The process to create Braille books largely relies on manual input, using a standard computer keyboard — or creating voice recordings for audio books. It can take several months to make an accessible book. The Japan Braille Library receives requests from library users about which new books to make available. From the wish list, they scan some of the books for the project. The collaborative character correction interface displays a group of OCR-scanned characters recognized as the same character – allowing IBM volunteers to make a batch correction. Volunteers also use the collaborative ruby correction interface (a small Japanese syllabary character reading aid printed right next to a kanji character). After corrections are made, the digitized books are converted into the international standard-based format and added to the Sapie Library collection. 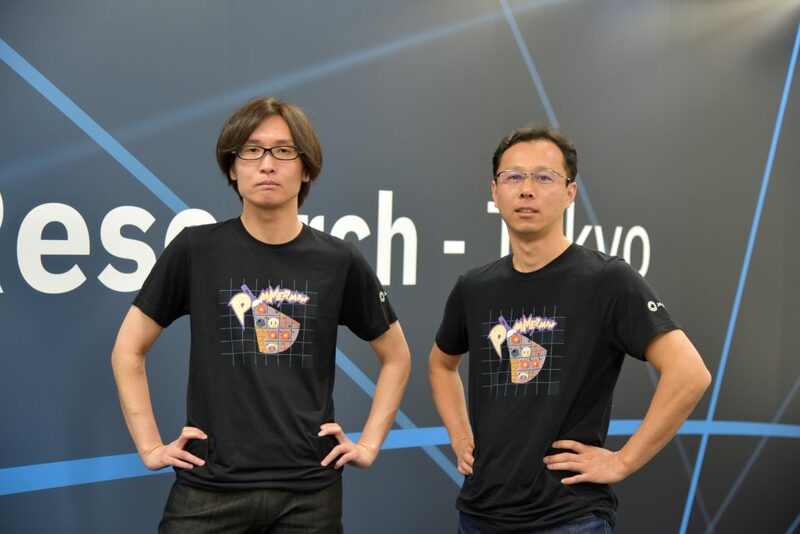 “Since the kanji characters with ruby tend to be difficult, I enjoyed it because it was like challenging the kanji kentei (Japanese kanji aptitude test),” said an IBM Research volunteer. In 1986, IBM researchers in Tokyo developed Braille word processing software that significantly sped up Braille translation work. Two years later, IBM collaborated with Braille libraries and volunteer groups across Japan to create an inter-library Braille network. It allowed visually impaired persons to access Braille books from home. The Braille network was migrated to the Internet by the Ministry of Health, Labor and Welfare in 2000. Today, it is Japan’s largest bibliographic database, used by visually impaired citizens nationwide. A new approach to real-time sequential decision-making represents a step towards autonomous agents that can make critical decisions in real time.